We just got back from a week long trip to what felt like a simpler time. 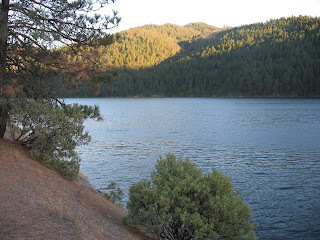 We went to Lewiston Lake which is near Lake Shasta. We rented a little cabin for 7 days and just took life easy. There was no TV, computer, microwave and even our cell phones wouldn't work (terrible thing since they were calling me from work to see when I was coming back). The cabin was a real trip back in time. All the furnishings looked like they were from the early 60's and in such great shape. I got to cook on a gas stove again, something I love and miss a lot. We fished and hiked everyday and only ate out once since we were having such a great time cooking and we did eat really well! Michael wrote all about the fishing on his blog already, it is a really fun read if you are interested in fishing even just a little bit. He puts his sense of humor into his writing and adds a really fun touch to something that could be boring. I enjoyed the fishing, but really enjoyed the hiking and just observing nature. It alway s amazes me how much we miss in our every day lives because we don't take the time to just stop and look at nature and what is going on around us. It is so easy to just keep busy going through our daily routine. It was nice to get away from that. 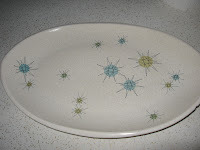 One of things I just fell in love with at the cabin was these dishes and if I ever find them in a thrift store somewhere I will buy them all! They may even be from the 50's. They had such a nice feel to them and an odd shape that sort of scooped up on the sides keeping all the food on the plate. The coffee cups looked small, but held a lot more coffee than you would expect. 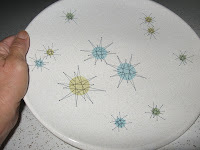 If anyone knows any info on these dishes please leave me a comme nt. There were native roses growing every where. 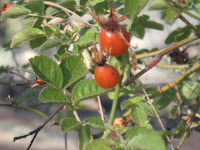 Usually deer would eat them, but for some reason they didn't eat these and they were full of rose hips. 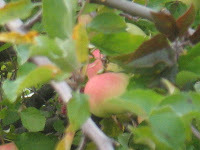 I harvested quite a few and brought them home I am going to cook them up with some apples and make an apple rose hip jelly. I found several recipes on the internet for this so am taking it all in and trying my own version if it works out I will let you know. We also found a pear tree that had little tiny pears growing on it. Michael thinks it is a seckel pear. 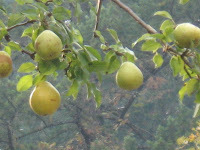 The bears had found it also and had already picked most of the pears in our reach, but we managed to shake down some m ore to bring home. They really had a special flavor to them I don't think I could describe. The apple tree was in the same area and the bears had found that too, but we came away with more than enough for ourselves and some to share. Well, time to head off to work and back to the real life! I am really enjoying watching a few plants this fall as they seem to be looking their best at the moment. Most of them are frost tender so I thought I'd better document all this beauty before it's gone. 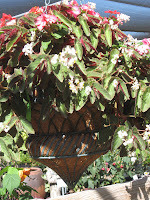 There are 2 begonia baskets I planted in July and mixed with some impatiens and a few other things. I know that when they do go dormant I can just let them rest for a few months then fertilize and water in the Spring and wait for them to give me another show next year. 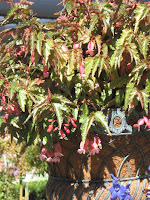 Gotta love those begonias. 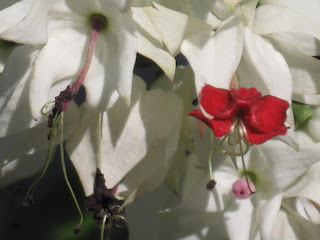 Then there is the Glory Bower vine or the Bleeding Hear vine. I love the little red heart at the center of each flower. Nature never ceases to amaze me with how perfect some flowers are formed without any help from the gardener. 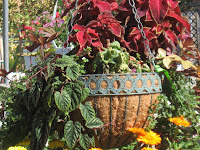 This basket I planted with leaves of may colors and not much in the way of flowering plants. 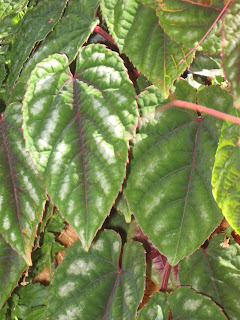 There is a beautiful red leafed coleus and a bronze leafed ipomea. My favorite part of this basket though is the trailing vine to the left of the basket I think it is some sort of lamiastrum, but I can't remember the name. Just goes to show that you can get lots of color without flowers if you just think outside the box! 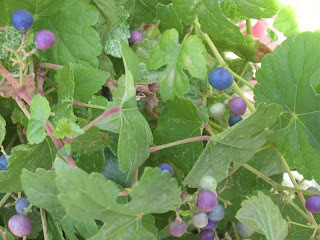 My favorite plant of all this year has been the Porcelain Berry Vine. 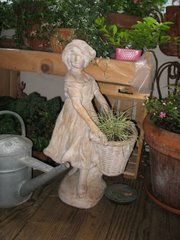 This one is growing in a pot on a small trellis and has been going gang busters all summer. Recently though the berries started to get some fabulous fall color on them and they are my favorite part of all. 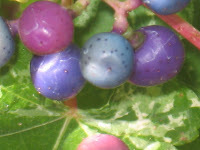 Each berry is so unique in its own way. I especially love the iridescent glow they have to them. We are getting ready to take a little trip to Lewiston Lake and enjoy a little more nature so there are sure to be more pictures to come. Today the weather had a definite feeling of fall in the air so we packed up jeans and sweatshirts in preparation for even colder weather up there, but it won't stop us from going out and taking in fall in all its glory! Be back soon refreshed, recharged and ready to tackle what ever life has in store for us! Be on the look out for all the fall color coming your way! Today is the much anticipated wedding shower for my sister, the bride to be. She has an amazing group of friends who have all pitched in and helped me make this shower special so I can't wait to see how it all turns out. They are all event planners so they know what they are doing. They should teach a class! I really appreciated their help and can't wait to meet them...we planned most of this over the internet, the emails have so many attachments it boggles my mind. I have been enjoying blogging lately, when don't I? It seems as if getting ready for the holidays along with cooler weather brings out the creative ideas in everyone. I love to get creative and have a little fun with crafts at this time of year. I seem to have a lot going on this year though so I hope I will have time to finish up some things or at least enjoy trying. 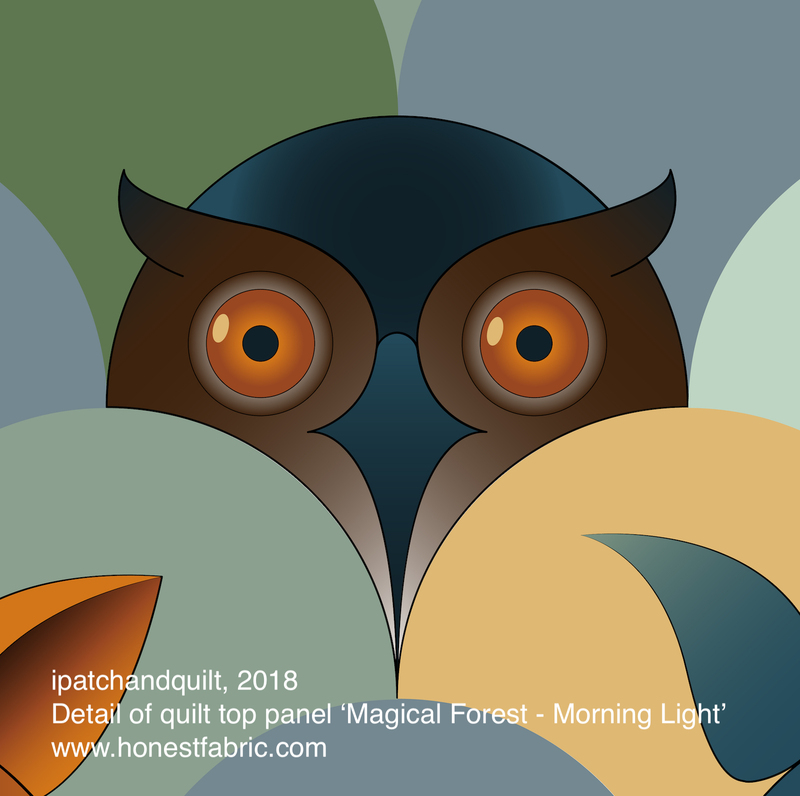 I was following Pat Sloan's virtual quilt retreat last week and she was giving ideas for quilt labels. Well, the timing was perfect for me since I had just finished up a runner for Craig and Philina and really wanted to make a special label for it, but didn't know where to begin. I had fun designing this table runner with the special couple in mind. I used two friendship braid panels to represent their relationship. 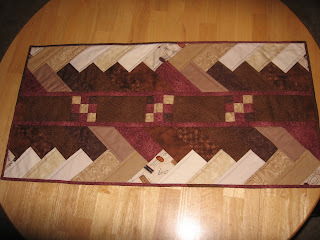 Then I used coffee colored and themed fabrics and added a hint of wine. 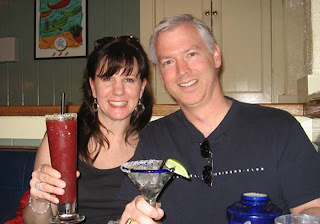 They met through E-Harmony, but their first date was at a coffee shop. Craig proposed on a surprise weekend trip to Napa, thus the wine color. The shower theme today is all about coffee and I think they are throwing it into the wedding theme also. Having a theme made it all very fun! 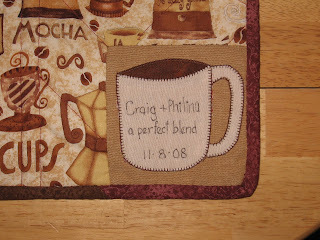 So for the label on the table runner I drew a coffee cup, appliqued it and wrote their names and wedding date on it. I tried to embroider the names on it but I really need to work on my embroidery skills and the letters were so small I couldn't get it to look right so I just used a permanent marker. I think it all turned out well and I hope that they will use it for years to come! Pictures of the shower later. The wedding is in a month and is going to be quite the celebration...more to come on that later, too. I have also been enjoying checking out Holly's blog where several designers are making a quilt for charity and using the sweetest little paper doll dress pattern. Each designer is making a block in their own style using a really sweet new line of fabric. I am wishing I had a little girl to make this for...I could always make one to have waiting for the day when I do! Or make it just for myself! I need 48 hours in a day just to have time to work and fit in all my projects.